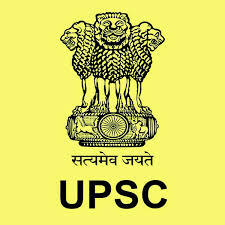 Union Public Service Commission (UPSC) recruitment for the posts of Administrative Officers and Lecturers. The closing date for submission of online applications is 11th October 2018. More information please read below mention details carefully. For Administrative Officer : Any Degree with 03 years experience of Accounts, Administration and establishment work in a Government Office/Public Sector Undertaking/ Autonomous Body/ Statutory Body. For Lecturer in Applied Mechanics: 1st Class Bachelor's degree in Mechanical engineering. If the candidate has a Master’s degree in Mechanical Engineering, first class is required at Bachelor’s or Master’s level. For Lecturer in Chemical Engineering: 1st Class Bachelor's degree in Chemical engineering / technology. If the candidate has a Master’s degree in Chemical Engineering / Technology, first class is required at Bachelor’s or Master’s level. For Lecturer in Civil Engineering : 1st Class Bachelor's degree in Civil engineering / technology. If the candidate has a Master’s degree in Civil Engineering / Technology, first class is required at Bachelor’s or Master’s level. For Lecturer in IT: 1st Class Bachelor's degree in Information Technology (IT). If the candidate has a Master’s degree in Information Technology, first class is required at Bachelor’s or Master’s level. Candidates are required to pay a fee of ₹ 25/- only either by remitting the money in any branch of the SBI by cash or by using net banking facility of the SBI or by using visa/master credit/debit card. How to Apply: Apply online through UPSC Online Recruitment Portal (ORA). The closing date for submission of online registration is 11th October 2018 up to 23:59 Hours.